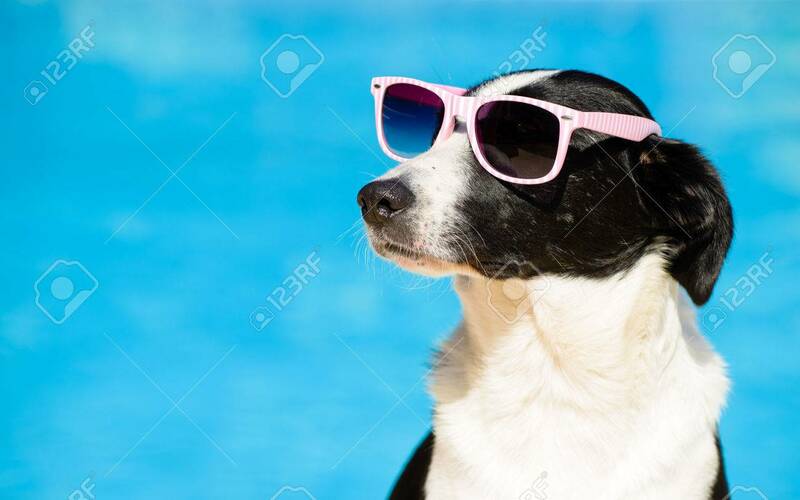 Funny Female Dog Wearing Sunglasses And Sunbathing At Swimming.. Stock Photo, Picture And Royalty Free Image. Image 42155347. Stock Photo - Funny female dog wearing sunglasses and sunbathing at swimming pool on summer. Summertime vacation concept.